Finding a home or a property in Dingle is a unique process. Whether you are based locally in West Kerry or whether you are coming from farther afield, patience is the key. It can take time to figure out where you want to buy and what you are looking for in a property in Dingle. Dingle Homes will help you figure out your needs and wants for your property in Dingle. We will balance those needs and wants with your budget. Using our local knowledge and expertise in property in Dingle, we will seek out the perfect house in Dingle for you. We also bear in mind that the property that exactly meets your needs may not be on the market. We have our fingers on the property pulse and often know about properties that have not been put on the market yet. Looking for a house in Dingle will become much easier by working with Dingle Homes. We can iron out all the difficulties in looking for the ideal home in Dingle. For example, you find a property that has the perfect location and the right budget but it only has three bedrooms instead of your desired four. Perhaps you would like to add a sunroom to enjoy the view. Or maybe the house needs to be adapted for a disability. We can solve these problems for you. With our construction expertise, we can design and cost, project manage and complete the works for you. We will deliver your dream home to you, within your budget, truly stress and hassle free. Dingle Homes are not auctioneers. 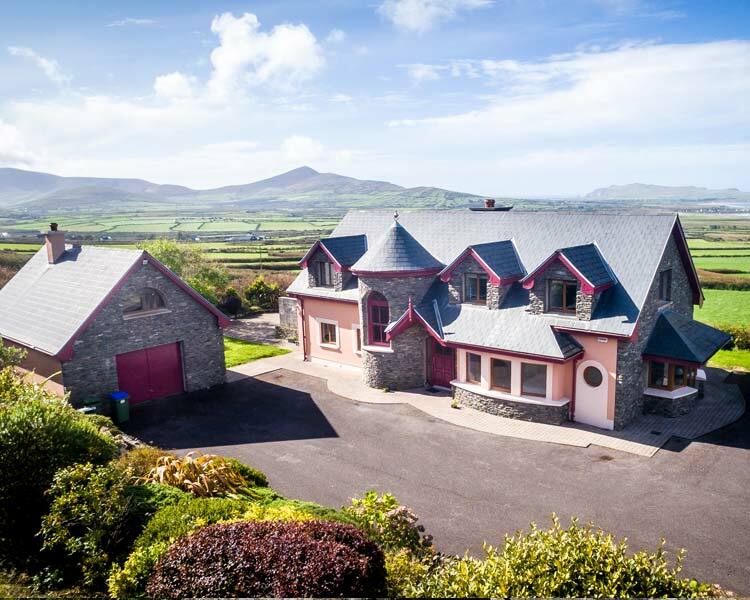 Our aim is to streamline the whole experience of buying a house in Dingle for you so that there are no hiccups, surprises or stresses along the way. We probably know the history of the house, the building contractor involved, when the extension was built, even who lived there previously. All of this is valuable background knowledge when devising a strategy to buy a house in Dingle. We also stay with you after you have bought the house and help you manage the little things that crop up. The first thing we do is have a chat and get to know you. This can be over email, skype, or face to face depending on where in the world you are. 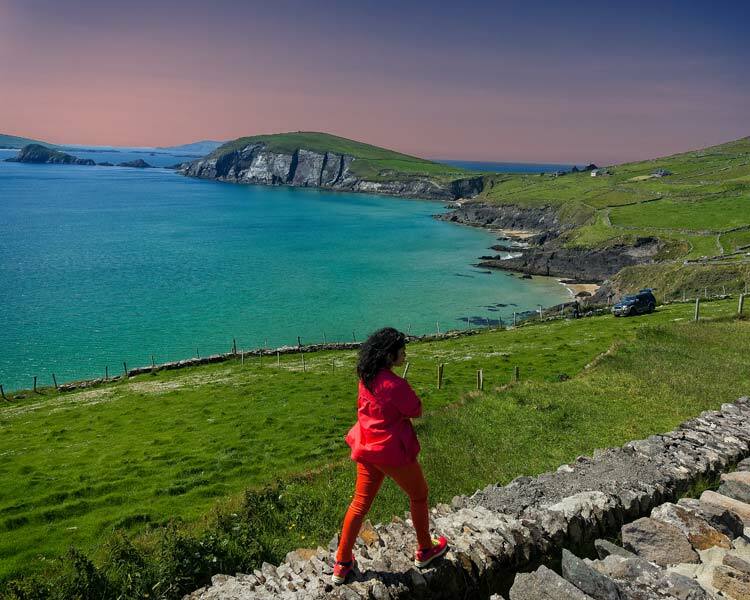 To find you your ideal home or property in Dingle we need to get to know you, such as your interests and hobbies, whether you like the peace and quiet or if you want to be in the middle of town. We also talk about what you are looking for in a home; will it be a permanent residence or a holiday home; will you want to rent it out when you are not using it or do you want it near the beach or a stream, for example. By finding out what your needs are and wishes are, we can balance this with your budget and guide you towards finding your ideal home. When we have a clear picture of the kind of property in Dingle you are looking for we create a profile of your ideal home. Then we go out and look for it. Using our local knowledge and contacts we will find you your ideal home. This part of the process can take a while but it is by far the most exciting. Weeding out the unsuitable properties can be time consuming and discouraging. It can also prove costly if you have to travel to view houses in Dingle. To eliminate this time wasting and save you money we offer our clients the option of Virtual Video Tours. We visit the home and film a walk through of the house. Because we know exactly what you are looking for, we are looking at the house through your eyes. This innovative way of viewing houses is flexible, as it allows you to view a number of houses as often as you would like. Combining a Virtual Video Home Tour with a report from our Property Expert is a great way of narrowing down the selection of potential houses. Therefore, cutting out wasted trips to view unsuitable houses. Once you have chosen your ideal home we can check that everything is in order for you. We will complete a forensic inspection of the property, identifying any defects within the property both cosmetic and structural. We will check out all of the legal documentation and ensure that everything is in order, from BER Certs to Legal Boundaries and anything in between. Our years of experience in property in Dingle will eliminate mistakes made by inexperienced buyers. This will minimise the risk of costly mistakes for you at this crucial stage. At this stage of the buying process, one’s judgement can become clouded by emotion. Dingle Homes can offer unbiased advice. Getting the best home for you is our main priority. Once you have decided on which property to buy in Dingle, we will work with you to negotiate a proper price. Using our local knowledge, property expertise and contacts, we will know the difference between the asking price and the realistic sale price. We want to make sure that you don’t end up paying over the odds for your property. Privacy is a key issue when purchasing property in West Kerry. We have experience of bidding on the behalf of others. We can act in trust right through the negotiating and buying process, thus ensuring your identity is not revealed until everything is finalised. We can facilitate the exchange of paperwork. We can be your eyes and ears on the ground here in Dingle while the transaction is going through.